A grisly solo-vehicle crash on Monday blocked all lanes of westbound traffic of Branham Lane in San Jose, according to fire officials. Mike Inouye reports. 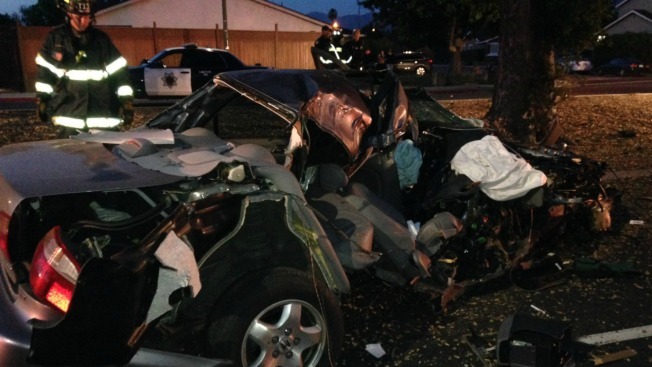 A grisly solo-vehicle crash on Monday blocked all lanes of westbound traffic of Branham Lane in San Jose, according to fire officials. It is unclear when the crash occurred, but it was still blocking traffic as of 6:30 a.m. The crash is expected to block westbound lanes for several hours, according to fire officials. The driver inside the mangled vehicle was transported to a local trauma center, fire officials said.